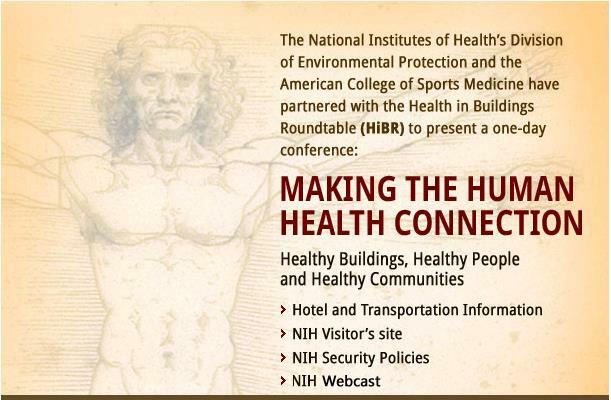 The Health in Buildings Roundtable will meet Tuesday, April 23rd from 8 to 4:30 at the Natcher Center on the NIH campus in Bethesda. The line-up includes a diverse set of speakers and topics. We saw nothing in the program posted on line mentioning microbial ecology, microbiology, or microbes, but the program might be of interest to some microbe.net visitors. 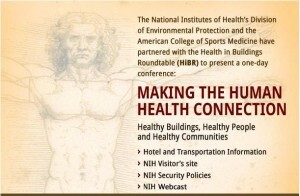 The conference is free and open to the public. You can register on line to attend in person or to watch the web cast. and click on the program link there to watch the webcast.